Credit: Joseph Chiang, Qiaochu Li, Melody Lee, Larry Chang, Rahul Nagarkar. 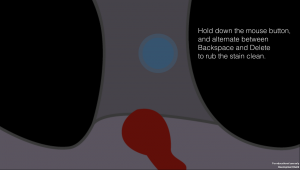 Emotionshop is a project at Carnegie Mellon University’s Entertainment Technology Center with the goal of exploring how game mechanics evoke emotions. Like our predecessor, the Experimental Gameplay Project, our team of five prototypes as many games as possible, with each person making one game in 7 to 9 days centered around an emotional theme. So far, we have done 28 games for 7 different emotions, namely, serenity, gloating, shame, daring, pride, hurt, and appreciation (click the emotions to see other posts). 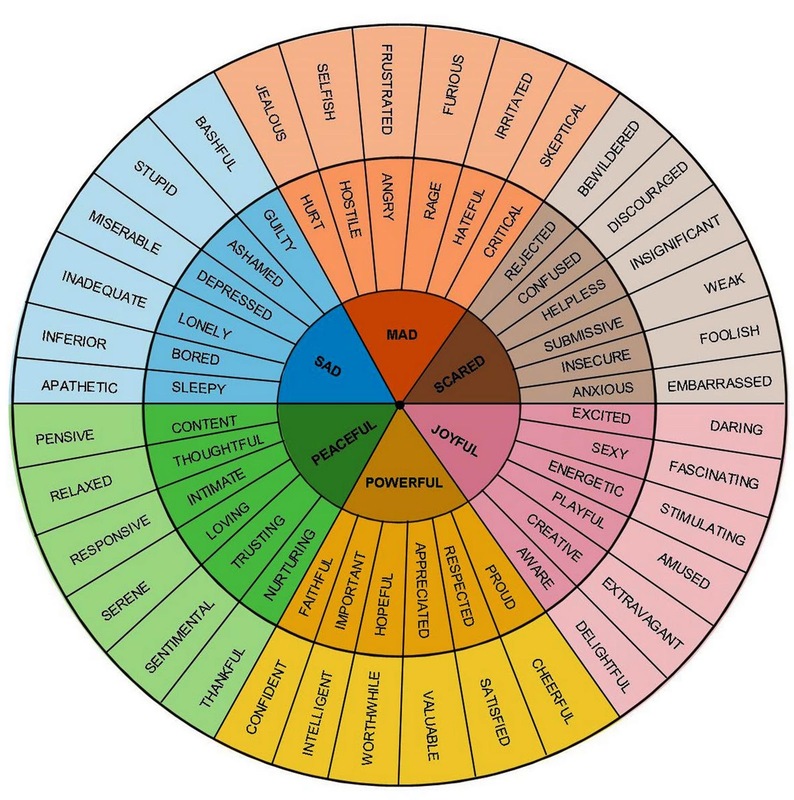 Just like how there are art and music theory on the emotional effects of visual and audio choices, we hope to start a conversation on what kinds of interactions are more effective in evoking certain emotions, what kinds are not, and why. This is the first blogpost in a series of eight on the lessons we learned about each emotion, as well as the development process as a whole. 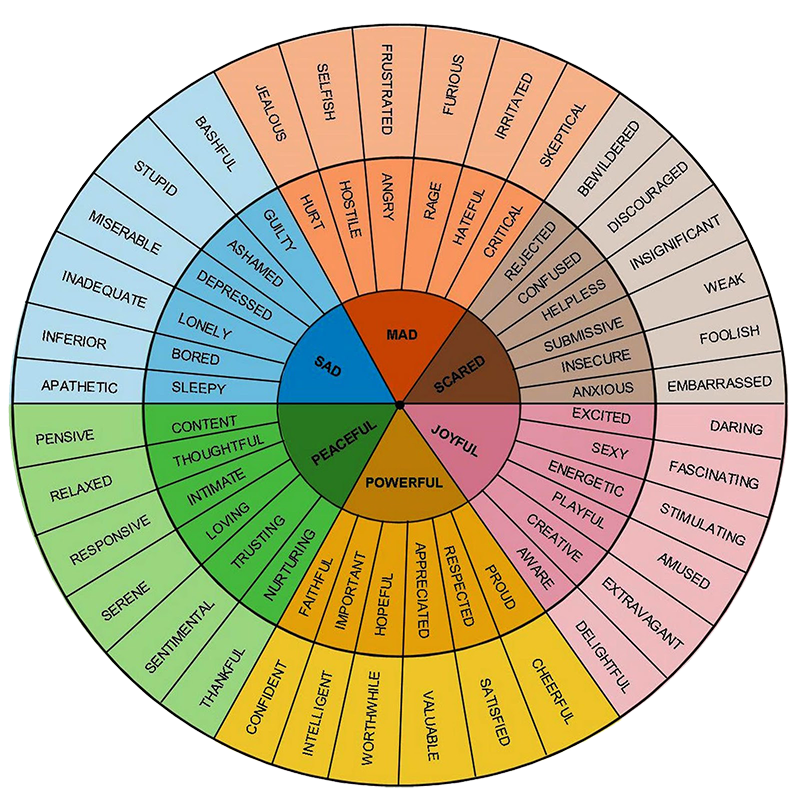 In the emotion wheel, ashamed is in the sad quadrant, between the emotions guilty and depressed. Shame is a self-conscious emotion informing one of "an internal state of inadequacy, unworthiness, dishonor or regret" (Lamia, 2011). It can be evoked by reactions of other people, causing distress or embarrassment within oneself. Naturally, our prototypes this week sought to evoke the emotion through various reactions by other characters, as well as real world spectators. 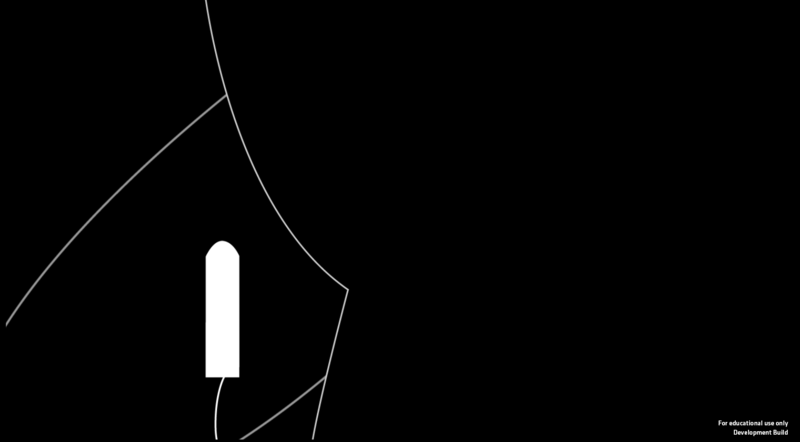 Melody’s game, Indelible, contains 3 different mini-games about periods. The player has stained her dress with period blood and needs to rush to the restroom without having her stains seen. When she reaches her restroom, she has to figure out how to insert her tampon, before washing the stain off her underwear in the sink. It is not an uncommon situation, and having this situation in game may bring up the feeling through the connection to personal experience. Joseph’s game, An Oddly Good Pick, is a game focusing on team cooperation. The player makes the decisions in the team with the advice from his teammates, but bad decisions will cause his teammates to be eliminated. This game tries to evoke shame from the moments when player made wrong decisions. Mac and Rahul’s game, Carnival Host, is a game about being a shop host in the carnival. The player will be the host of a guessing game shop in the carnival. The natural instinct of the player would be to earn as much money as possible. 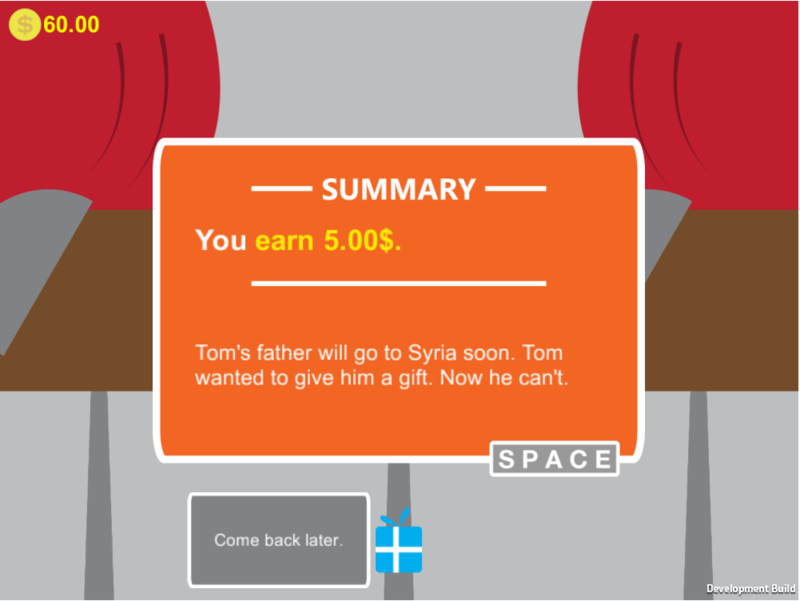 During the game, if a customer guessed right, the player can move the gift to cheat the customers before revealing. Though cheating can help the player to earn more profit, but the player will get punished if he gets caught cheating. Shame Lesson #1: Being watched by other characters in the game or by spectators in real life intensifies the feeling of shame. Our hypothesis was that a player trying to hide something from others will feel ashamed when the thing that they are hiding is seen. For example, a student who gets caught cheating in an exam in front of all his classmates will experience shame. 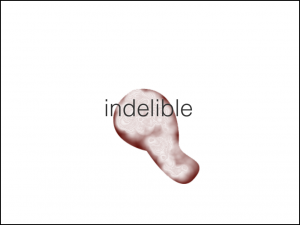 In “Indelible”, the player has to prevent her blood stain from being seen by other people. The moment when passers-by turn to look at the player's character and widen their eyes in shock created a huge reaction within playtesters, some of whom told passers-by off aloud ("It's perfectly normal, stop looking!"). Some players also remarked that the difficulty of keeping the purse over the stain made them focus harder on the task, intensifying the feeling of shame when they spotted the stares of passers-by. The task itself is embarrassing enough. If players feel they are inserting an object into another person's body, The feeling of shame becomes even stronger. In the second mini-game, some players even refused to play the game because they didn’t regard themselves as the character in the game but a person trying to help her out. These players expressed strongly awkward emotions because they knew that there were spectators watching them trying to insert the tampon. This also has to do with the fact that this was a very intimate act, normally not shown, that was now being exposed to the public. These two mini-games show how being watched can evoke strong emotions from players. Shame Lesson #2: Similar to being watched, being caught committing a wrong deed also causes shame. This is a little different from the previous lesson in that the previous lesson is more concerned with the process of being watched constantly, while this one has more to do with the moment in which a wrong, perhaps unlawful, deed is caught. The process of committing the deed is not necessarily shameful to the player, but the moment in which their blunder causes their act to be known by others is the key. Getting caught while cheating is one of the key moments that arouse shame. In “Carnival Host”, when the player is caught cheating in front of customers and receives a fine, they feel ashamed. 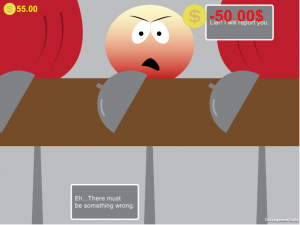 Players explained that the act of being caught alerted them to the consciousness that the cheating they were doing was unethical, even though the game design facilitated the cheating. What's interesting is, we found that even though the player felt he/she was forced to cheat, they felt ashamed of being caught cheating -- the act they didn't initiate still caused shame after being carried out. In addition, some players felt ashamed even though they were not caught. Shame Lesson #3: AI needs to show visibly human behavior or features in order to evoke the emotion of shame in players. In “Indelible”, most players feel they are being watched because people on the street turn their head towards the player and stare. This created an impression that the player is being watched by other human beings, even though they are just non-player characters (NPCs). On the other hand, in "An Oddly Good Pick", other people in the game are represented by featureless circles. The single-player game has the player in a team, competing against other teams to get the highest score. The way to get a score is to pick a number, with a caveat -- if the number is picked by multiple teams, nobody gets the score. At the end of the round, the lowest-scoring team will lose a member. 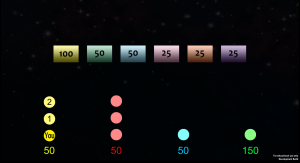 While choosing which number to pick, the NPC team members will give suggestions to the player about which number to pick. After playing the game, some players said that they simply followed the suggestions they received because they viewed them as coming from the system. Other players felt frustrated because they felt their opponents were part of an opaque system which gave no clues to what their next picks were, unlike real humans whose psychology they might be able to predict. In either case, the player didn’t feel ashamed because they did not see team members as other autonomous humans. The lack of reaction from other people leads to the game's failure in evoking shame. Shame Lesson #4: Giving players some time to reflect after something happens will facilitate the emotion of shame. The time between elimination of a player and the next round is too short to encourage the player to reflect on what happened. 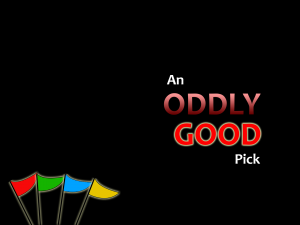 In “An Oddly Good Pick”, if the player makes some mistakes in a round, they will lose a team member. Some players did feel ashamed because they decided not to trust their teammates' information and made their own decisions, leading to the loss of their teammates. However, because the time between the loss of the teammate and the start of the next round is too short, these players mentioned that they didn’t have time to think about what has happened and change their strategy. Instead, the playtesters had to start thinking about their strategy for the next round. Shame needs some time to build up and be experienced. If the target emotion is deep and slow, then the game needs to provide the player more time to experience the whole emotional arc. Shame Lesson #5: When the player has to make decisions under time pressure, they do not blame themselves for mistakes they make, hence do not feel ashamed. When pressured, some players were more likely to perform worse and fail to achieve the goal. In this case, players felt negative emotions that were not shame; rather, they felt regretful for not performing well enough, frustrated that the game is not fitting their playing style, or confused about the game mechanics. In short, pressure will let shame be overwhelmed by stronger, more immediate negative emotions. If the player could not make it in time, the result is directly sent out no matter what. 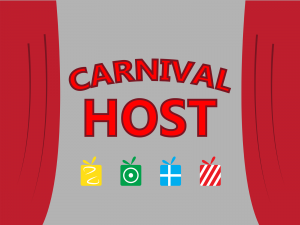 In “Carnival Host”, some players complained that they did not have time to swap the gift, and it made them feel angry or frustrated. Although the act of swapping was a risk that meant they might not succeed, most of these players still reported "confused" and "frustrated" as their emotions because of their failure. In this case, though some people felt ashamed about themselves for not being skillful enough, it was not the kind of shame we were going for. Some players felt the loss of their teammates was not their fault but the game's for not giving them enough time to think. 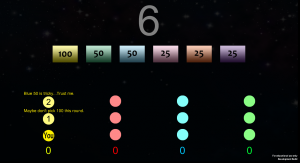 In “An Oddly Good Pick”, the player only has 10 seconds to make each decision in a round. Some players felt ashamed after recognizing that the decisions they made led to the loss of teammates. But some players said they were not thinking hard about their options, and were just following the hints that their teammates gave. Under this circumstance, players do not have any emotional reaction because the time pressure overwhelms every other emotion. Shame Lesson #6: Concrete relatable scenarios are more effective in evoking shame. It’s well-known that real world scenarios in games can make them more immersive. Building strong connections to personal experience can make for a good foundation in evoking shame. Washing underwear is awkward for male players, but still evokes shame. In “Indelible”, many female players said they related to the scenarios and felt some embarrassment and shame because of their past experiences. Though the real world scenario may only happen on female players, some male players also felt ashamed while playing the game as they felt like they were trespassing into forbidden territory. Importing a real scenario into game strongly establishes the sense of feeling ashamed. 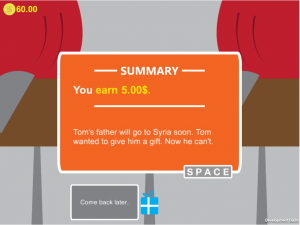 While cheating customers to earn money is shameful, making the player realize the consequence of their actions with a story makes it even more so. In “Carnival Host”, the scenario of losing a game at the carnival is familiar to many players. After cheating a customer, players read a short snippet of what the customer intended the prize for had they won it. The little scenarios described in these snippets made some players think harder about cheating their next customer. We were not as successful as we would have liked in evoking shame. Shame is a perception of the self that cannot stand up to public or even private scrutiny; it is perhaps an emotion that requires a longer period of time to evoke, to build up a societal context as well as all the inadequacies a person can possess. When a game has successfully evoked shame, it can provoke deeper thought on how certain expectations of the self came into place, and help players identify unhealthy expectations.